We Know Shipping Multi-Hull Power Boats! multi-hull power boat moved anywhere in the world. The preparation steps required for your multi-hull boat vary greatly from that of boats with a single hull. Special care and experience will be needed to ensure that your multi-hull boat is protected from damage during the shipping process. The professional boat transport team at Nationwide Boat Shipping have the training and experience that you need to keep your multi-hull boat in premium condition while in transit. We know how to ship catamarans and multi-hulls because we learned over the decades how to do it more efficiently. 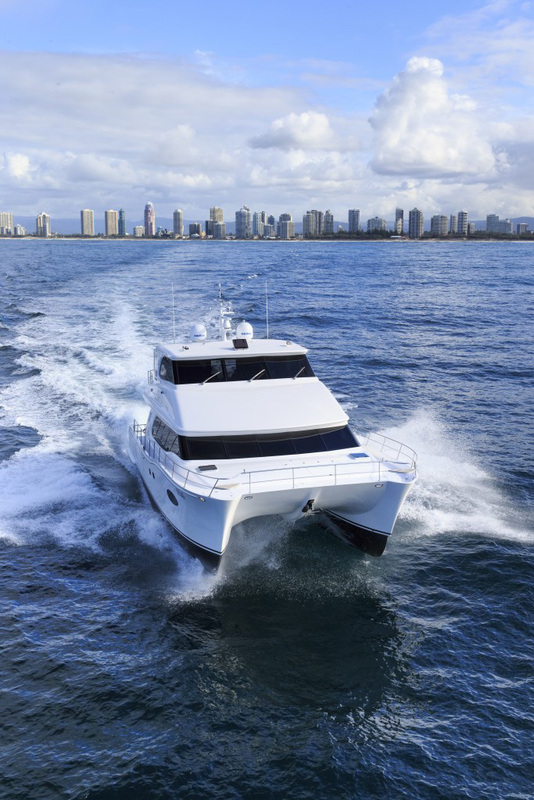 Trust our knowledge of multi-hull power boat shipping to get your vessel there safely. After your multi-hull power boat has been completely cleaned, it is time to remove any loose rigging or gear and any extraneous parts that are possible. These parts will be packaged separately during shipment. Dimensions are very important to the proper shipping of your multi-hull power boat. State laws determine what the allowable limits are for height, weight, and width. If the height limit is exceeded, for example, you will need to have a pole car travel with you. At Nationwide Boat Shipping, we have experience with all sizes of boat transport. We will take care of obtaining all permits that are necessary for your multi-hull power boat shipping and we will provide a pole car, if it is necessary. Call (800) 352-8475 to talk with one of our logistics professionals for a free no obligation quote today! Wherever you want to be in this great nation, we can get your multi-hull power boat there safely and efficiently. Nationwide Boat Shipping will ship your multi-hull power boat to any location in the 50 states, regardless of the distance. We can transport your multi-hull power boat to your favorite local water hotspot or to your new home across the country. We know the state laws regarding boat transport, so you won't have to worry about any surprises along the way. "I am so greatful a friend recomended Nationwide Boat Shipping to me - they did an amazing job getting my multi hull power boat moved!" "The professionals at Nationwide Boat Shipping took great care of me & my boat when moving it across country! Thanks for a great job!" "Moving my boat went smoother than I ever expected! Nationwide Boat Shippers are the best at what they do! Thanks again!"